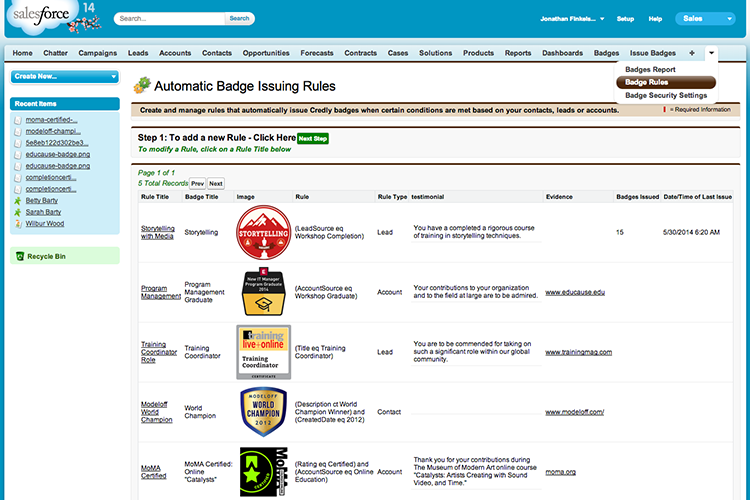 The Credly for Salesforce app turns the most popular customer relationship management (CRM) platform into a powerful tool for easily issuing and managing digital badges and credentials. 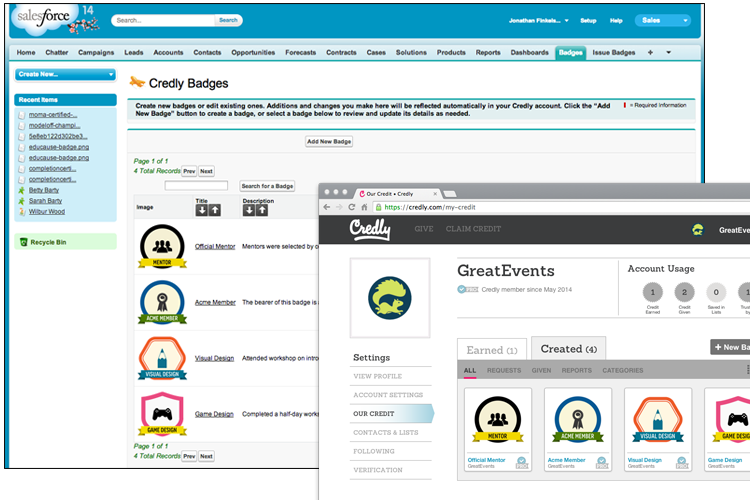 Certify and reward achievement with official digital badges and credentials that give your customers, members, leads, or team an easy way to showcase a verified record of their accomplishments on social networks like LinkedIn, Facebook and Twitter. 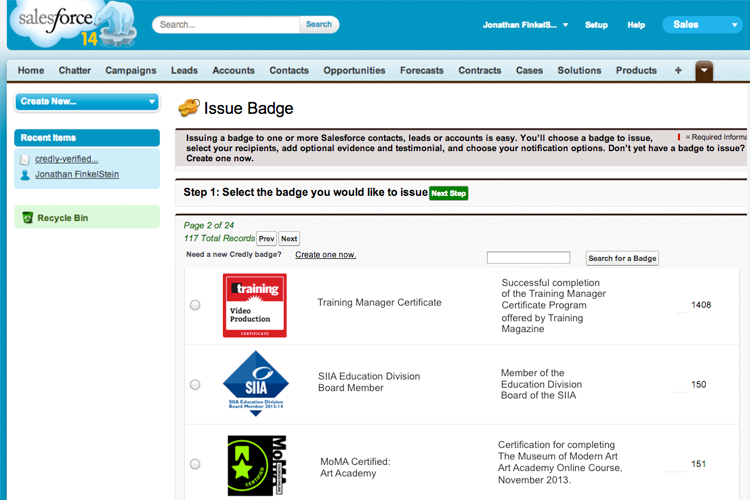 Add powerful digital credential and badge features to your Salesforce account. Everything syncs seamlessly with your Credly account. 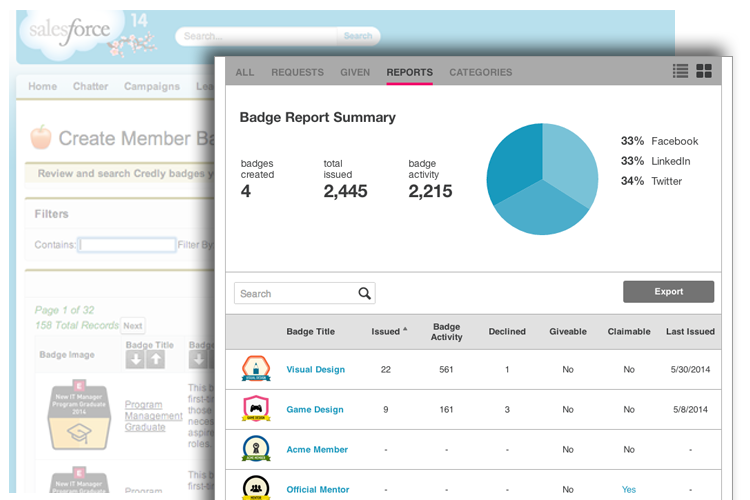 Run reports to see who earned each credential, and review Salesforce records for a complete history of the badges each person has earned. All you need is a Salesforce account and a Credly Pro account. 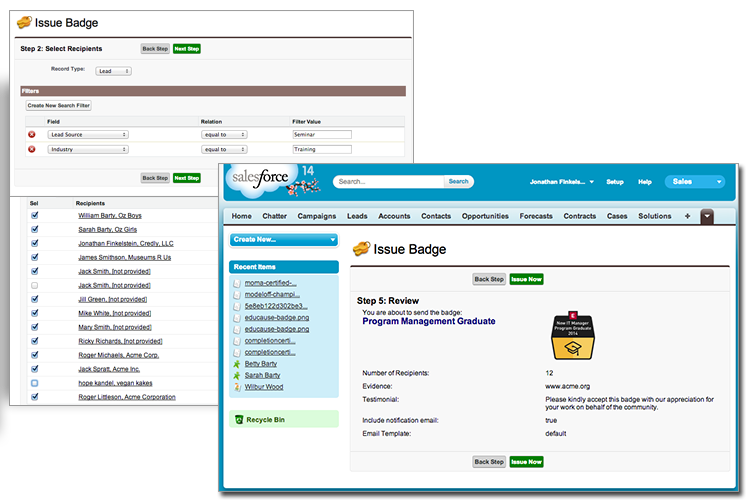 Use the Credly for Salesforce app to Issue any Credly badge to leads, contacts or organizations -- either individually or to entire groups of recipients at once. 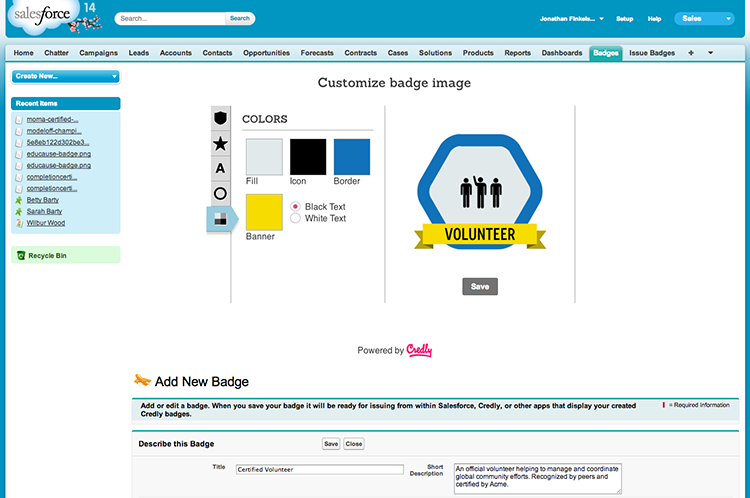 All of your Credly badges are available for issuing from inside Salesforce, and new bagdes you create in Salesforce are synced with your Credly account. • … and so much more! See the official press release. The Salesforce App is now available on the Salesforce App Exchange as a benefit to Credly Pro members.